Sony’s new virtual reality headset is set to revolutionise the way people play PS4. Formerly known as Project Morpheus, the new virtual reality has many rumours surrounding it, here are just a few. The PlayStation VR is a virtual reality headset from Sony, which will work with both the PS4 and PS Vita. The PlayStation will utilise the PlayStation Camera to track what the user is doing and gives them an all-new Virtual Reality experience. The first version demoed at E3 2015 and had a 1920×1080 full HD display. It expands the field of few and removes motion blur. It has a 120 Hz refresh rate, an impressive number for consoles. When combined with the fairly powerful Play Station 4, Sony have said it will have “amazingly smooth visuals”. The final version is set to have a 2560 x 1440 resolution. At the current moment, PlayStation VR connects to wires. Sony has said that it is possible to develop a Wireless version, but this will not be what PlayStation VR is, at least not yet. The new PlayStation VR headset will be equipped with a 5.7 inch 1920 X RGB X 1080 resolution OLED display. Using an OLED display will create low viewing persistence, which will help eliminate gameplay motion blur. unFOMO expects the fully released PlayStation VR to have a latency speed of ~18ms, which will create a truly incredible VR gaming experience. Hopefully PS does not disappoint here! The exact release date is still unknown but if there are no delays expect the VR to still release summer-2016. 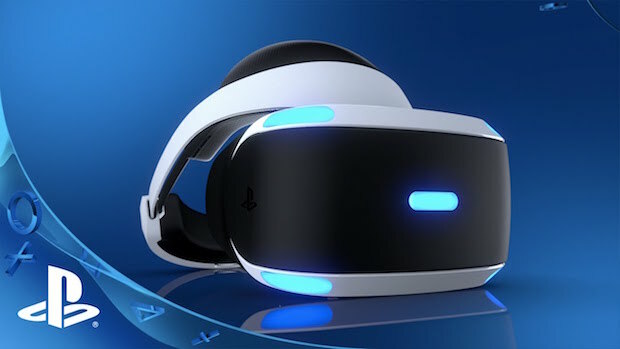 As for cost, many expect one of the selling points for Sony’s VR system to be that it is considerably cheaper than other systems such as the Oculus Rift, which has gone on pre-order for a very expensive $599.99 USD, while the HTC Vive costs $800. unFOMO’s best guess is that the Playstation VR will cost $350 – $400 USD on release. There are many games to be excited about playing with the system. Some new indie titles as well as big names will ship compatible at launch, with more expected to follow and many games to be developed just for the Play Station VR. Some big names include ARK: Survival Evolved, EVE, Valkyrie, Keep Talking and Nobody Explodes, Project CARS, Surgeon Simulator, Trackmania Turbo and War Thunder.